How is Pasture Perfect Beef processed? Although lengthier and more costly, all Pasture Perfect Beef is dry aged. Hanging the beef in a precisely controlled environment for two to three weeks encourages the natural enzymes to tenderize the muscle fibers, enhancing the rich robust flavor of the beef. The result is a steak or roast like nothing you've ever tasted. 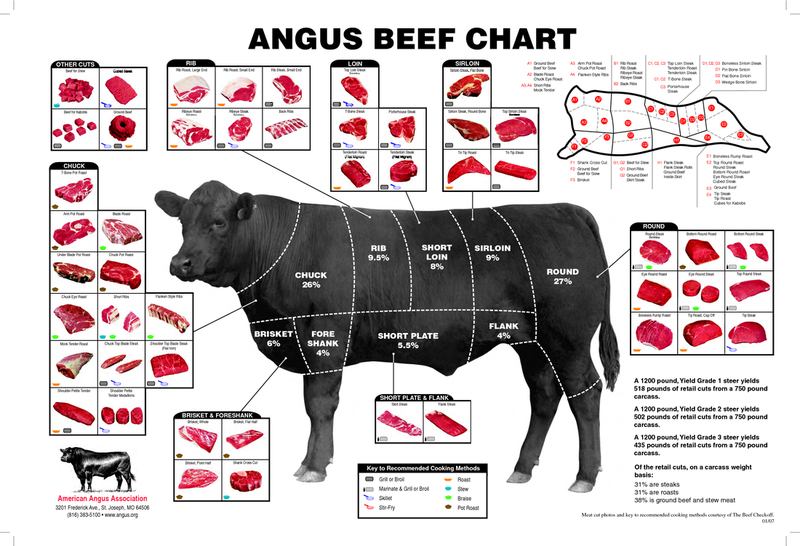 You may purchase Pasture Perfect Beef by the individual cut, or in a package that best suits your needs. Custom cuts, variety meats and combinations available. Please feel free to share your special requests with us.